We have an extensive range of underlay options available for your wood flooring suitable for laminate, solid wood, semi solid and engineered. Most flooring requires underlayment to cover imperfections in the subfloor, reduce noise, insulate or provide a vapour barrier etc., also providing other benefits specific to each type of wooden floor covering or underfloor heating. Trojan White foam underlay is manufactured from polyethylene which is 100% recyclable. 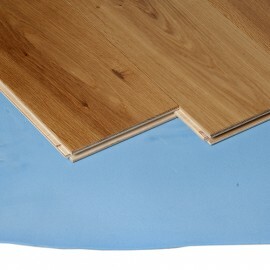 It is suitable for laminate or a parquet flooring in a domestic installation. It is a lightweight foam that is easy to lay, levels unevenness and can be used in conjunction with a polythene sheet to provide a mositure barrier. 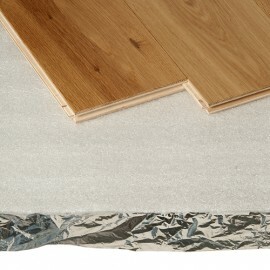 Trojan Alufoil underlay is manufactured from polyethylene with a silver foil moisture barrier attached. 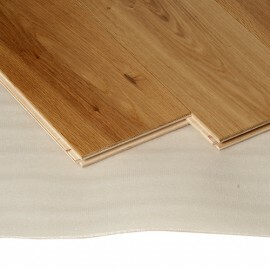 It is suitable for laminate or a parquet flooring in a domestic installation. It is a lightweight foam that is easy to lay, levels unevenness and is deal for impact, sound and vapour reduction. the extremely flexible wood fibers, It is ideal for a renovation project or a new development. 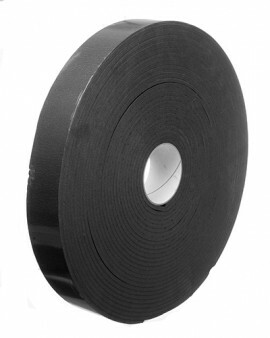 Trojan Sountech foil back underlay is a high density acoustic insulation which is manufactured from natural rubber with integrated fleece and ALU vapour barrier. It is suitable for use under laminate floors, semi solid & engineered wood flooring and is ideal for apartments, bedrooms and attic conversions etc where noise is a concern. Excellent impact sound and airborne noise insulation. 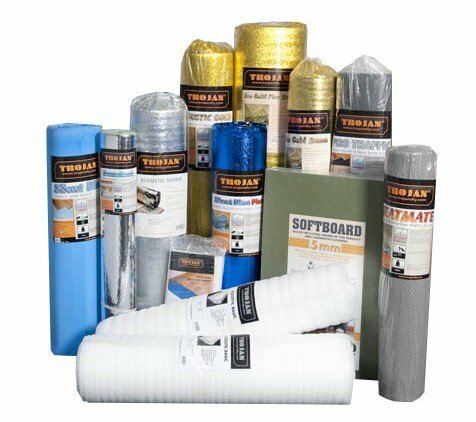 Trojan Silent Blue underlay is a lightweight high density EVA foam, we recommend to use in conjunction with Trojan Vapour Barrier for high moisture sub-floor. Trojan Silent Blue Plus is attached to a blue vapour barrier with adhesive strip seals the joints to ensure a proper seal from vapour. Both are suitable for laminate, semi-solid and engineered flooring and for underfloor heating systems. Walking noise reduction is approximately 14% and 22db impact sound reduction, ideal for rooms with heavy traffic. Both the Silent Blue and Silent Blue Plus are suitable for underfloor heating systems. Trojan Acoustic Gold is a high quality underlay, made from strong, high density cross-linked foam attached to a gold vapour barrier and has a 98% memory retention. This underlay enhances long term performance and offers good insulation. 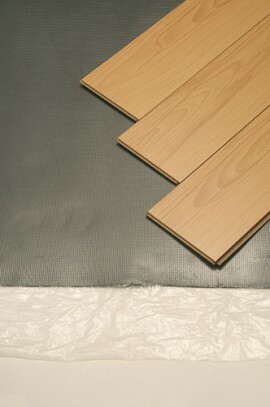 Adhesive strips seal the joints to ensure a proper seal from vapour and it is suitable for underfloor heating systems. It provides a walking noise reduction of approximately 14% and impact sound reduction of 22db. It is ideal for rooms with heavy traffic. 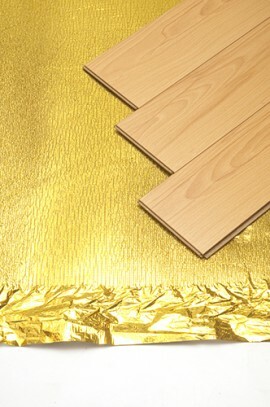 Trojan Eco Gold underlay is manufactured from polyethylene with a gold foil moisture barrier attached. 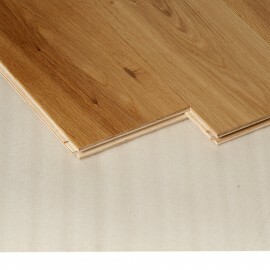 It is suitable for laminate or a parquet flooring in a domestic installation. It is a lightweight foam that is easy to lay, levels unevenness and is deal for impact, sound and vapour reduction. The perforated structure of the Trojan Heatmate underlay is unique and facilitates the transmission of heat. With Heatmate underlay you are sure to reach top efficiency of your flooring heating system. 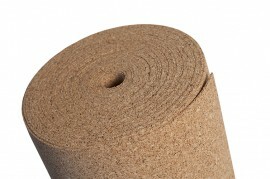 This low tog (0.35 Togs) underlay is designed for underfloor heating. Thermal resistance is RB=0.035m2K/W which means that the tog rating will be 0.35 togs. It is recommended that the heat transmission resistance of flooring and underlay must not exceed a value of RB= 0.15 m2K/W. This means that the thinner the engineered or laminate floor the better the transfer of heat. 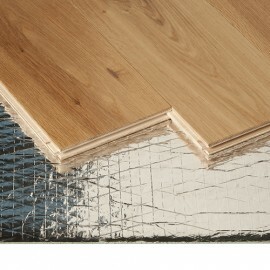 Trojan Heatmate underlay ensures sound reduction of your flooring. Impact and drrum sound are reduced. Density of the EVA foam in Heatmate underlay is 30kg/m3. Ideal for rooms with heavy traffic. 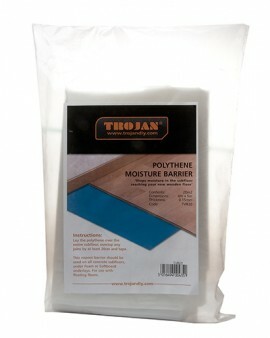 We recommend to use in conjunction with Trojan Vapour Barrier for high moisture sub-floor. for vapour. Walking noise reduction is approximately 14% impact sound reduction 23db. Density of the Pro Traffic underlay is 40kg/m3. Ideal for rooms with heavy traffic. used on all concrete subfloors, under foam or softboard underlays. For use with floating floors. 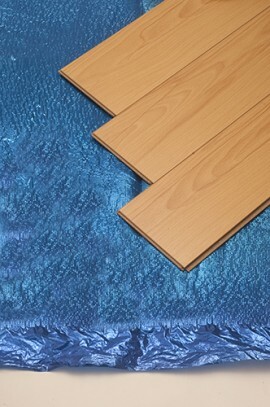 The Trojan Acoustic Batton strip is designed to reduce sound transmission through wood floors. 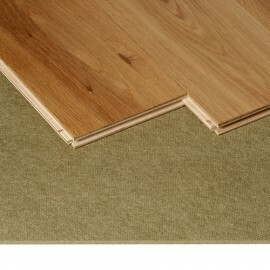 The acoustic strip is fitted on top of exposed floor joints and fixed in place with the self adhesive backing. 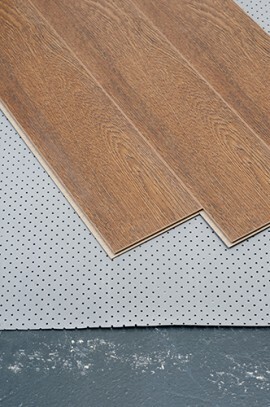 It is used as a separation layer between the structural floor and wood flooring and it also provides good impact sound insulation at a low thickness and absorbs floor unevenness.